You have already made big decisions about your life, some at least as important as choosing a college. You are not a finished person (no one is while they are alive) but you are a “started” person. You have failed, succeeded, worked hard or not worked hard enough; learned from your mistakes or not learned much at all; taken care of your mind and body or done them damage; and suffered from events beyond your control. “Now” is mid-April and “Here” at hand is your next big decision if you are among the declining majority who do not make college decisions early. Advice about what to do now is abundant. Net cost. Distance from home. Strength in your major field. Reputation, ranking. Where do your parents want you to go? Where are your friends going? Your current romantic interest, if any? But let’s go back to Arthur Ashe. “Start where you are.” Figuring this out can be difficult. Be honest with yourself. You know your grades, your test scores, your recommendations, your likely major. But is that data science major your choice or someone else’s? Are you really prepared for it? How about premed? Do you want people to say, “Look at her, she’s a physician?” Or do you want to do what a physician actually does, after a decade of extremely hard work? Computer science. Do you want to write computer code or get paid to write computer code that you don’t care about? You love your parents, and they love you; but do you want to do what they believe would be best for you or what you truly want to do? If you choose a STEM field, think about the math involved, the usually strict major requirements, the sometimes narrow career options. Your parents want you to have a good life, and in recent years our culture has increasingly defined such a life as one with a highly remunerative career. Be honest but be prudent about the connection between college and career. If you love history, literature, or philosophy, be assured that those disciplines reflect the best of humanity and that your love of them speaks well of you. Be proud of this profound connection. But this country and the whole world have changed. Attend to the change; minor or double major so that you have a reasonably secure future. And proceed with confidence that your work in the humanities will be as big a part of that secure future as your more vocational minor. Are your parents hard-pressed for money? Are you a late bloomer? Start at a less selective college, at lower cost, and work hard. A strong start can make up for a lot of setbacks. Point yourself in the right direction. The rest will follow. “Use what you have.” Having lived more broadly than many people would believe you have lived, you know what you are most afraid of, hurt by, devoted to, strongest at, or confident of. If you are confident in math, you might want to zero in on that subject or hold on to that wonderful ability while pursuing something different. If you are terrified of speaking in front of people, are you willing to see this as an obstacle you now have but are determined to overcome or does the fear reflect a deep-seated and authentic introversion that could lead to artistic or scientific achievement at the highest level without confronting the fear directly? Using what you have requires you to understand that what you assume is a deficiency might turn out to be your own kind of strength. “Do what you can.” A math deficiency, a fear of public speaking, a loathing for English grammar–they might stand in your way, but be patient. Don’t sell yourself short because you aren’t good at everything. Few people are outstanding in a wide range of endeavors. Some of these people were not outstanding in much of anything until they saw an opening, a way to go forward with just enough confidence or hope to move to the next step. In college, it is often the right instructor leading the way through a subject the student disliked or feared. The student earned a tough B. In the next difficult class she got an A minus. Then an A. Then she did it again. Then it was something that she just did. If being realistic about starting where you are leaves you in, say, a regional public university that is not among the “public Ivies” or is not well known outside of your own state, doing what you can may still yield astonishing results. In recent years students from Youngstown State, UW-Eau Claire, and the University of Tennessee-Chattanooga have gone on to win Rhodes Scholarships. Did they have to transfer to Princeton in order to be chosen for this most prestigious award? No, they stayed where they were, used what they had to the utmost, and did the very best that any student, anywhere, could do. Editor’s Note: This article comes from Jason Rose, an Illinois attorney with two extremely bright children, one now a freshman and the other a high school senior. What Jason has to say is especially relevant to families with highly-qualified students and with incomes that leave them in the infamous “donut hole” when it comes to financial aid. What to do when that elite college waitlist notice arrives, or even a rejection or two, despite a 34 ACT and 4.7 HSGPA? My family in a nutshell: I am a 49 year old husband and parent of two teenagers: an 18-year-old daughter, Tori, (currently a freshman at a college to be named at the end of this article) and a 17-year-old son, Jake, (currently a high school senior). Our goals: Helping guide Tori and Jake through the college admissions process without driving them, my wife, or myself crazy. Figuring out a way to make college relatively affordable. Figuring out what’s important and what’s NOT. In other words, what to sweat and what to let slide. Tori (in a nutshell): While excelling in debate and orchestra in high school, Tori is a natural writer, researcher, and future politician. Voted most opinionated by her classmates, Tori is not interested in partying, at least not yet anyway. Although at times anxious, Tori is warm and friendly with those whom she is comfortable with. An eager learner who is well liked by her teachers, perhaps a future lawyer, professor or political wonk. For now, a likely English or Political Science major. Issues: Attending a powerhouse public high school in an affluent suburb in northern Illinois, observers can almost believe that every student is a superstar (either academically, athletically, or in extra-curriculars) and that every family has a money tree in their backyard. While ideal in some respects, this sort of enriched environment often makes parents and their children a bit neurotic and ultra-competitive. The Plan: Panic. No, just kidding. Read and research every admissions book and blog, every well known website, and every major college ranking service. My favorite websites were Niche, College Confidential, and Public University Honors. My favorite book about the various colleges was the venerable Fiske Guide to Colleges, which does an excellent job of going beyond the numbers and provides the reader with a feel for over 350 colleges. Later, during Tori’s senior year, I discovered the recently published book, A Review of Fifty Public University Honors Programs, which is the definitive book in the industry regarding the strengths of the various honors programs. Junior Year: We visited many schools during Tori’s junior year so that we could get a feel for them all. During the visits, we quickly realized that each school has its own distinctive personality. During her junior year, Tori took the ACT multiple times, since we knew that an additional point could make the difference between getting in and getting rejected by a top school (or of getting scholarship money or not). By the end of her junior year, Tori had scored a 34 on her ACT and was sitting with a 4.7 weighted Grade Point Average, making her a very attractive candidate for most schools. But without a hook (meaning that Tori was neither an athlete nor a legacy nor an underrepresented minority), we knew that entrance into the elite private schools was no sure thing. And even if Tori were to be accepted into a top private school, we were still not sure whether that was the best way to go. As a quirky, intellectual type, Tori initially thought she would prefer a liberal arts school where she would benefit from close interaction with dedicated professors, small class sizes and a nurturing administration. We started by touring several fabulous liberal arts colleges on the east coast and in the Midwest, including Wellesley, Brandeis, Wesleyan, Carleton and Macalester; a few popular midsized schools (Boston University, Tulane University); and a few elite academic powerhouses (Yale, Brown, Northwestern University, University of Chicago). What we learned during each visit is that each school had a distinct personality. Sometimes it came from the way the students interacted with each other or from the way the admissions officers would go through their spiels. Wherever it came from, it was palpable, something you could just feel. But a funny thing happened during our search….after 5 or 10 visits, Tori realized that she was attracted to colleges in major cities. This was a major monkey in the wrench, since most of schools in major cities were typically larger, research powerhouses, while many of the best liberal arts colleges were in idyllic small towns, often far from any major city. Senior Year (First Semester): By the beginning of Tori’s senior year, we thought that we were well prepared for the year ahead and the upcoming admissions process. At this point, Tori’s college list was in serious transition. Several colleges in major cities were added (welcome University of Minnesota, University of Pittsburgh, University of Texas at Austin, Rice University, Washington University at St.Louis and Emory University, among others) while the original target liberal arts colleges, which had at first appeared to be a wonderful fit, dropped out of the picture one by one. With the inclusion of several larger public schools, I began to look into the honors programs at Texas-Austin, Minnesota and Boston University. Fortunately, two of the public schools on Tori’s list (Minnesota and Pittsburgh) had rolling admissions, which meant that Tori would receive acceptances from these schools in a matter of weeks. Knowing that Tori had acceptances from two very good schools early in the process (with scholarships from both schools) reduced the collective stress somewhat. Meanwhile, I created color-coded charts listing the various application and scholarship deadlines and Tori got to work on her common application essay and the various mini-essays which the various colleges would require. By the end of the 2014, Tori had applied to twelve colleges, more than most students but not an extreme number, at least from our perspective. In our case, the number was appropriate since Tori was applying to several elite colleges with shrinking accepting rates and because Tori was not yet willing to limit herself to just one area of the country. The net was also relatively wide since we had still not talked much as a family about exactly how much money had been saved and how much money might have to be borrowed in the future. Admittedly, the matter of how to fund college for two students was something that probably should have been discussed much earlier in the process. Senior Year (Second Semester): Tori applied to one school early action, Yale. Deferred…which meant that we would not know until the end of March whether she would be admitted to Yale and the other elite schools that she applied to. While some students already had acceptances in hand to their dream schools, we could tell that Tori’s second semester would be stressful as we awaited decisions from most of the schools that she applied to. The various reactions to Tori’s deferral from Yale were particularly interesting. In some cases, people would ask us “Is Tori o.k?”, sensing that Tori might be disappointed by the deferral and knowing that the odds for Tori to get in were not great. Others, however, would get excited and say “that’s amazing,” knowing that the Ivy league was just a pipe dream for most students and that most students would not have the grades and test scores to even contemplate attending an Ivy league school. By February and March, the results started to roll in. Tori would eventually be accepted by 9 of the 12 schools that she applied to, with one school offering her a spot on the waitlist and two Ivy league schools (Yale and Brown) rejecting her. The schools that accepted Tori ran the geographic gamut, in the Midwest, South and along the eastern seaboard. Several of the schools were excellent public research universities (Texas, Minnesota, Pittsburgh), but Tori also was accepted into several smaller elite private schools, including Rice, Emory, Tulane, Washington University (“WUSTL”) and Boston University. Decision Time: During our visit last fall to St. Louis, Tori had fallen in love with WUSTL, and when she was accepted, Tori was starting to see herself as spending her next four years there. But when the various financial aid packages came rolling in, we were quickly seeing that our family fell into the so-called donut (where families are relatively well off but not so wealthy that they could afford to pay $50,000-65,000 per year to have their child attend college). Some of these schools in fact were willing to work with us, but reductions of $5,000-10,000/year (while certainly substantial) only made a dent on the four year cost of an education. Meanwhile, a weekend trip to Texas (to see Texas-Austin and Rice) was changing the list of favorites. In particular, Tori became enamored during her Texas trip not only with the city of Austin but also with UT’s Plan II Honors Program, which was widely regarded as being one of the very best honors programs in the country. The venerable but outstanding Fiske Guide to Colleges had touted Plan II as being one of the nation’s most renowned programs and also one of the best values in the country…at least for students in Texas who would pay in-state tuition. 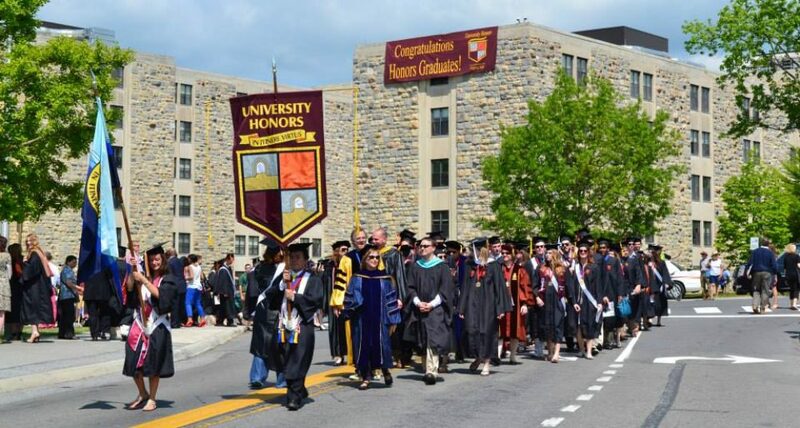 Additionally, A Review of Fifty Public University Honors Programs had also listed Plan II as being one of the very best honors programs in the country. But would out-of-state tuition push UT-Austin into the group with some of the other excellent, but ultimately unaffordable options. At this point, the focus went towards some of the schools that had offered Tori sizable scholarships, most notably Tulane and Pittsburgh. Another trip to New Orleans impressed but did not lead to a commitment. This would be a decision that would go down to the wire. The Decision: With May Day soon approaching, Tori decided that she wanted to go to Austin and that she wanted to take advantage of Plan II’s interdisciplinary curriculum. This, frankly, was a bit of a shocker because Tori is more of an intellectual than a sports fan. Most people who knew her expected Tori to select a smaller school, not a major research university with 50,000 students known at least somewhat for its prowess in the various major sports. At this point, we reached out to Texas to see if there was any possibility of receiving a Non-Resident Tuition Exemption (“NRTE”). NRTEs are in short supply at Texas-Austin, but most of the various departments at UT (Engineering, Business, Plan II) have a limited number of NRTE each year. In this case, we explained that while Tori would love to attend Texas-Austin, an NRTE would be needed to turn this dream into a reality. Just days before May Day, we received the word from UT-Austin: Tori would be extended a small scholarship, which would be linked to an NRTE. Tori would be heading to Austin, Texas. The Aftermath: So how’s it going so far? Two months into the school year, Tori is making new friends, enjoying her new environment, the honors dormitories at UT, and the improved climate–and excelling in the classroom. There will certainly be stressful days ahead and obstacles to overcome but at this point it looks like Tori absolutely made the right decision for herself. But I can’t spend too much time mulling over the past year: our second child, Jake, is now a high school senior and so we are going over a new set of options with a new set of decisions to be made.